In part one of our series, Out West, we explore the allure of Chicago to Southern Blacks in the 1950s and the decades-long disinvestment and policing on the West Side following the 1968 assassination of civil rights leader Martin Luther King Jr.
Blanche Killingsworth was no stranger to racism. 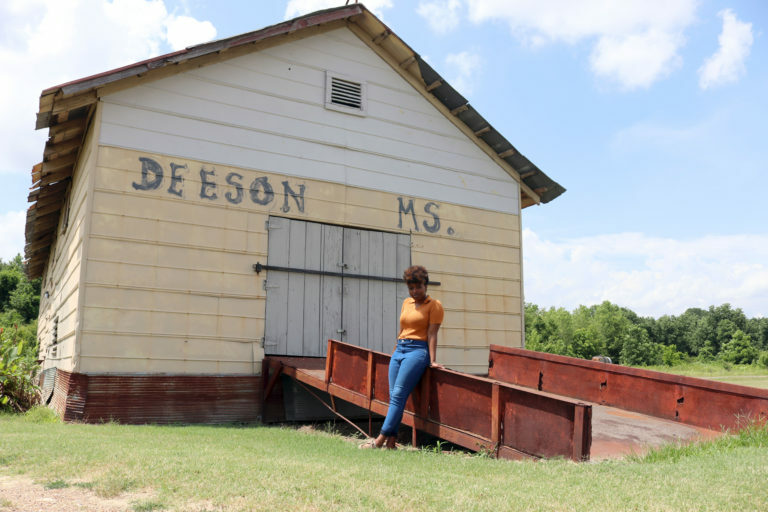 She was born in Hazlehurst, Mississippi in the 1950s; a time when the 70-something-year-old Jim Crow still had a mighty chokehold on the freed children and grandchildren of slavery. In Hazlehurst, a town about 37 miles south of the state’s capital of Jackson, teaching Black children the rules of the water fountain was a matter of life and death – never stray away from the “coloreds-only” sign. Also, remembering to put on pants or a long dress when traveling uptown was crucial since it was taboo for young Black girls to show skin. But the ongoing migration of millions of African Americans from down South to Northern cities such as Philadelphia, New York and Chicago at the time brought a sense of hope to Killingsworth. When relatives who moved North returned to the South for their annual summer family visit, Killingsworth could see the rays of freedom beaming from their aura. 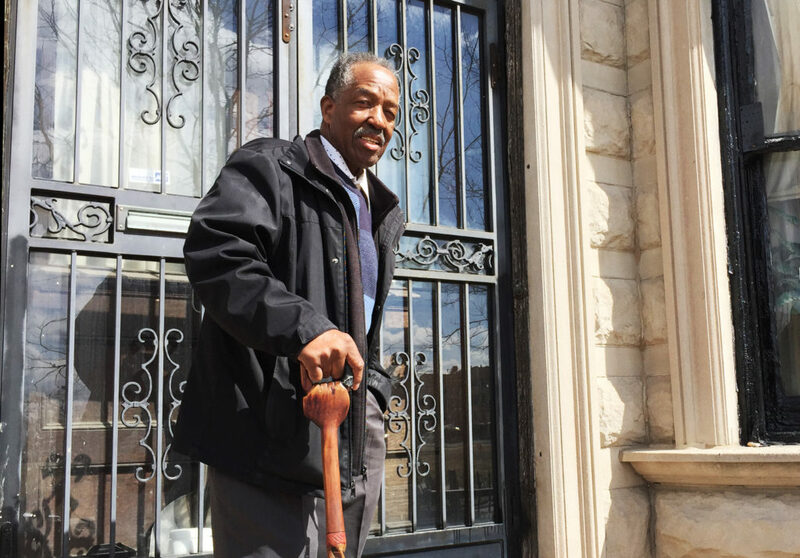 “People up here [in Chicago] used to come down South wearing they fancy coats, renting cars we thought they owned and telling us how successful they were in Chicago,” recalls Killingsworth, president of the North Lawndale Historical and Cultural Society. 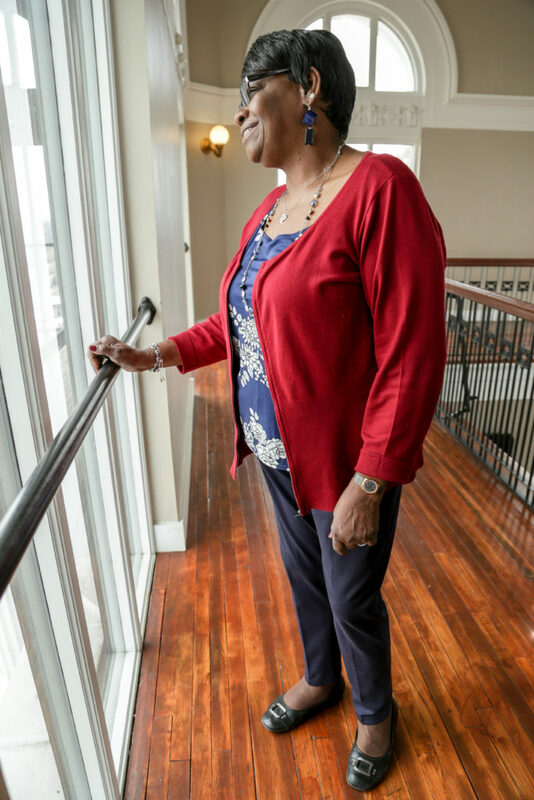 The allure of Northern freedom enticed Killingsworth’s mom to leave Hazlehurst in 1959 to join her aunt in Chicago, where the two sisters lived in the Parkway Garden Homes, a low-income public housing complex on the South Side. Killingsworth didn’t join her mom in Chicago until 1962. 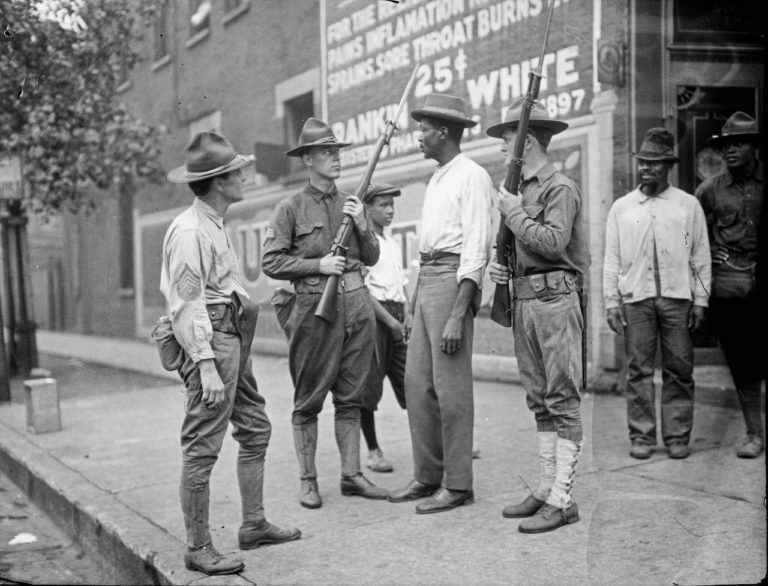 Between 1916 and 1970, more than 500,000 African Americans fled the South for Chicago, which resulted in overcrowding and poor housing conditions in the “Black Belt,” a section of the South Side where Black families were forced to live while white communities created pacts to keep them out of their neighborhood. In 1962, when Killingsworth’s mom moved to a more spacious apartment in North Lawndale, Killingsworth made the big move to Chicago. Killingsworth had no idea she was headed to one of the most racially-heated and segregated cities in the North. 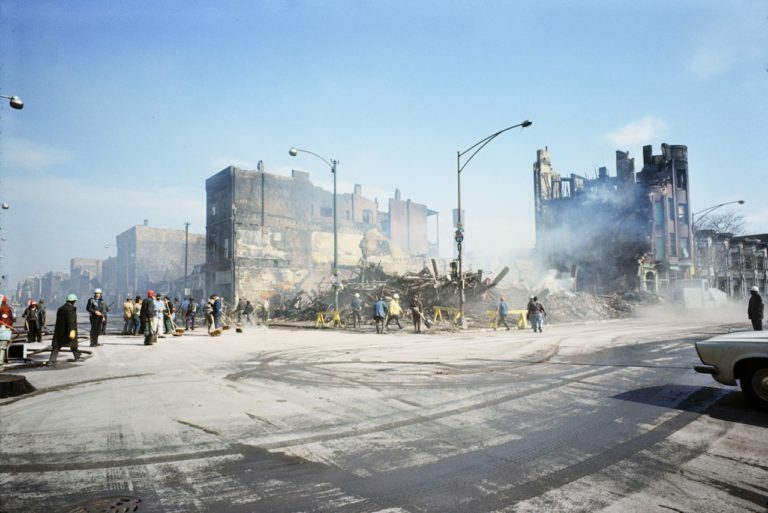 Dating back to at least 1919, when the death of a Black teenage boy at the whites-only 29th Street Beach spurred a week of deadly race riots, Black Chicagoans have always suffered at the hands of systemic white supremacy and inequality. No, there weren’t any “whites-only” signs to mark their territory, but vicious attacks by whites would ensue anytime a Black person overstepped an invisible boundary: take the 1951 Cicero riot, for example, when a white mob attacked an apartment that a Black family moved into. To a young Killingsworth, Chicago wasn’t any different than the South. 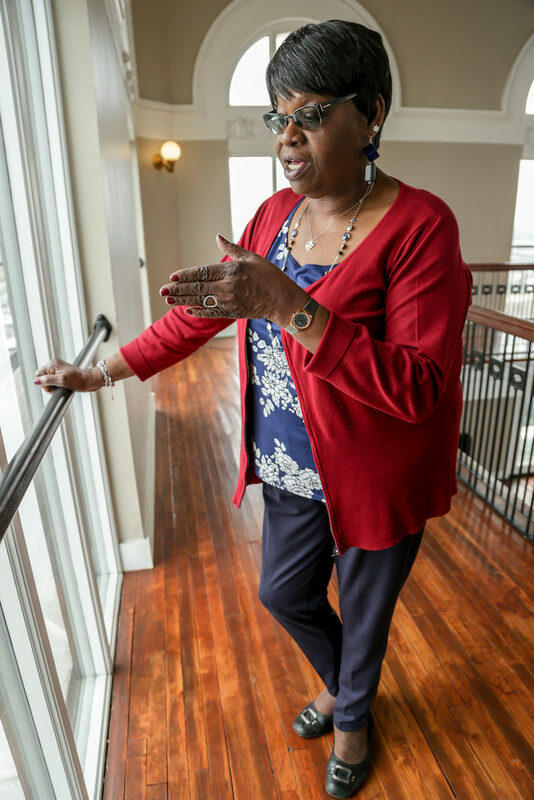 In her new West Side neighborhood of 15th Street and Kedzie, she remembers Black kids regularly fighting with Bohemian gangs who didn’t want them in their space. 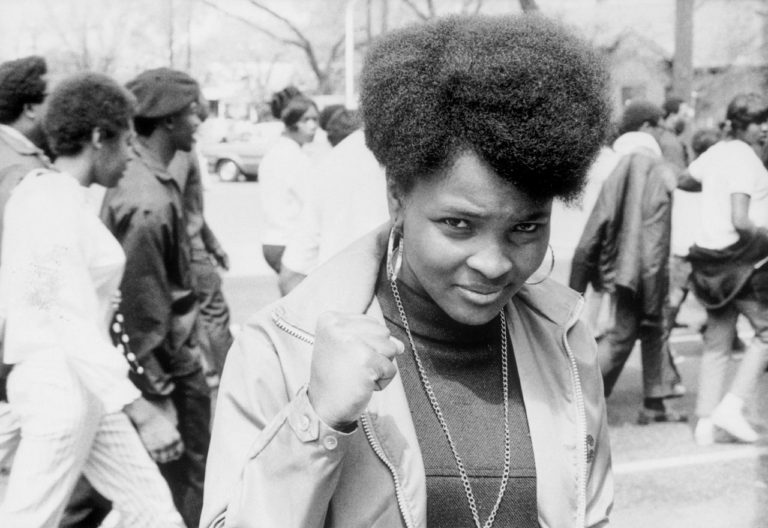 She experienced her first bout with Chicago’s racism around age 12. While waiting for an eastbound Blue Line train with her mom, a white passenger lowered one of the train’s windows and spit in her face. 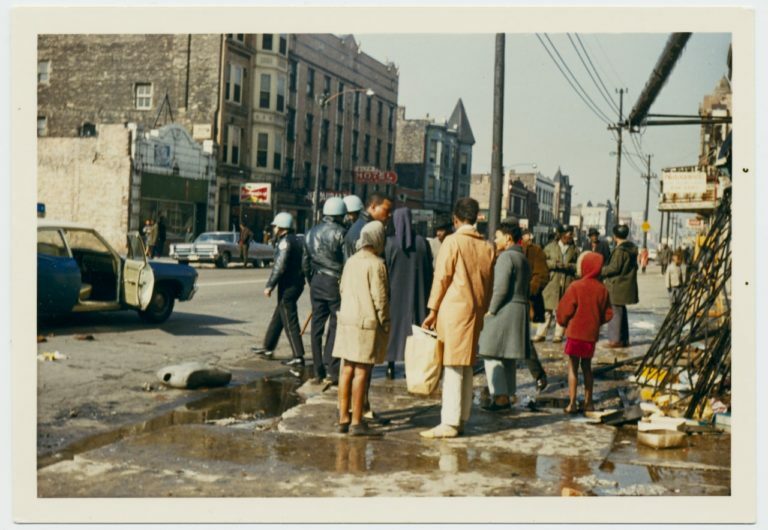 Martin Luther King Jr.’s 1966 arrival on the West Side – an area of dilapidated housing and decreasing job opportunities – brought a glimmer of hope to a community filled with despair. He rented an apartment off 16th Street and Hamlin Avenue, blocks away from Killingsworth, and fought tirelessly to improve living conditions for Blacks in Chicago. Two years later – all hope would fade. King is assassinated on April 4, 1968. The West Side burned for days. And Mayor Richard J. Daley’s order for police and the National Guard to “shoot to kill” during the weekend uprisings still resonates on the predominantly-Black West Side, where today’s Mayor Rahm Emanuel insists on building a $95-million police training academy in West Garfield Park as a way of investing in the economically-devastated community. Killingsworth isn’t the only person who feels this way. 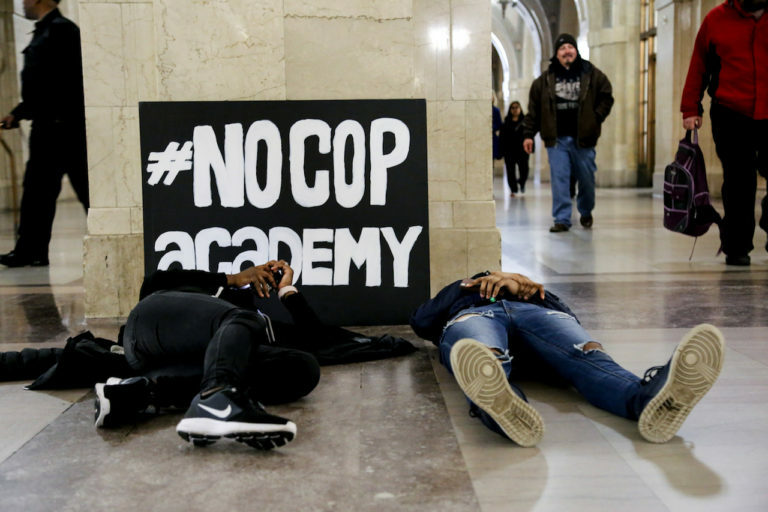 A coalition of about 50 grassroot organizations, including Assata’s Daughters and Black Lives Matter Chicago, is leading massive protests against Emanuel’s police training academy under the youth-led campaign, #NoCopAcademy. The campaign suggests that the city invests its $95-million dollars in bringing economic opportunities to the West Side instead of a police training academy. 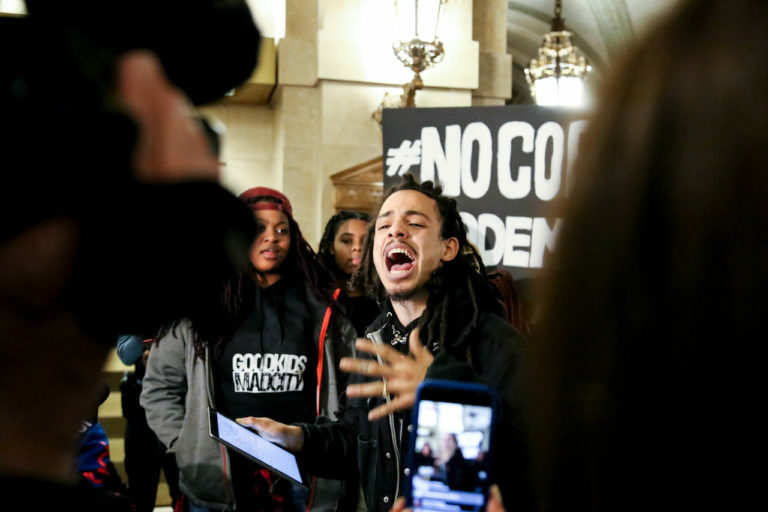 Last month, two #NoCopAcademy organizers, Erin Glasco and Debbie Southorn, filed a lawsuit against the Mayor’s Office, alleging that Emanuel, 37th Ward Alderwoman Emma Mitts and other stakeholders are withholding crucial information regarding the initial planning of the police academy. For instance, when Emanuel first announced plans for the proposed cop academy over the 4th of July weekend in 2017, he said it was in response to the Department of Justice’s January 2017 report of outdated training procedures and targeted police brutality against minorities. 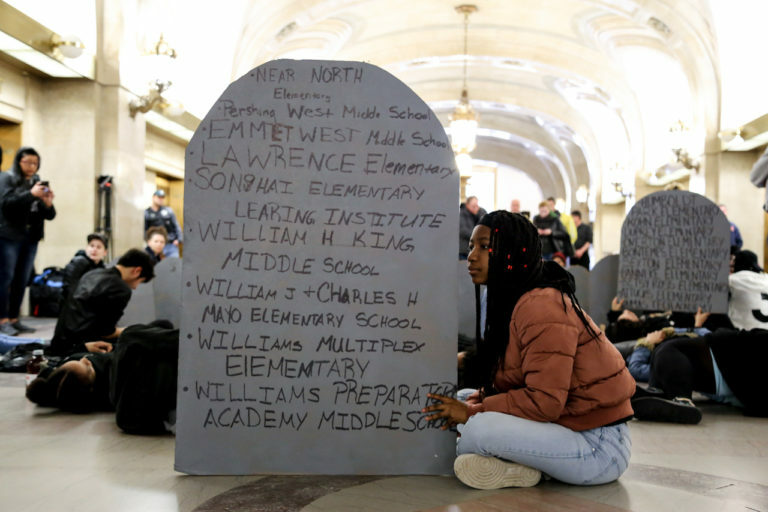 “But we have evidence through our Freedom of Information Act filings that [Emanuel] started plans for the academy back in October of 2016,” says Glasco, a librarian and archivist. She’s a member of Chicago Dyke March Collective, another supporter of the #NoCopAcademy effort. When it comes to homicides, the 37th Ward ranks highest as of April 6 with 40 homicides in the last 12 months, according to the Chicago Police Department’s Crime Map. Right behind it are the 28th Ward with 38 homicides and the 24th Ward with 34 homicides. All three wards include West Side neighborhoods such as Austin, Garfield Park and North Lawndale. 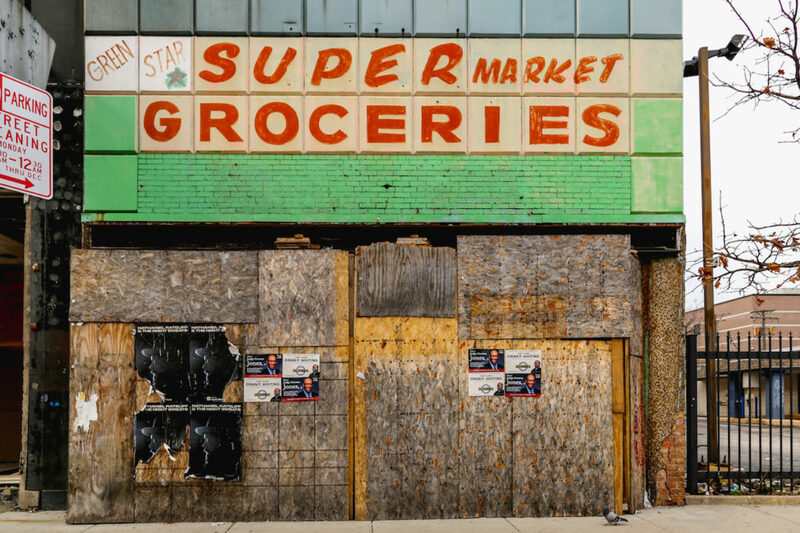 But these pockets of the West Side also rank as some of the most poverty-stricken and underserved neighborhoods in Chicago. 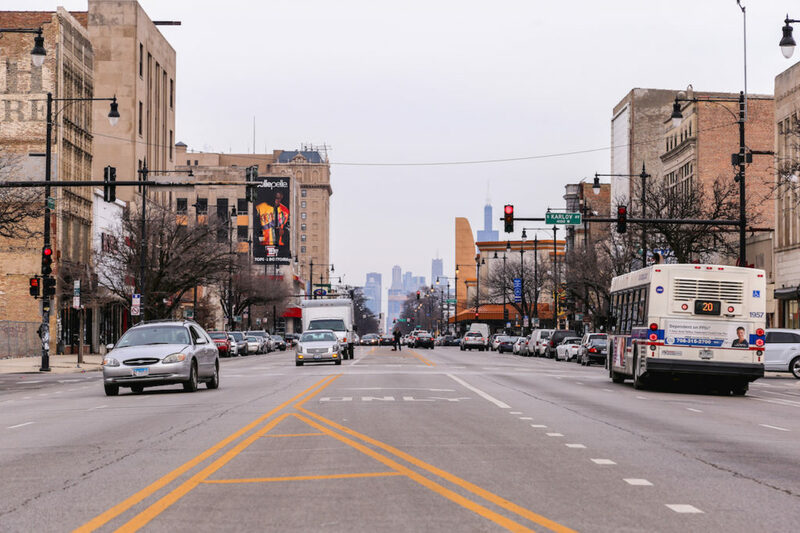 According to Chicago Magazine, a person living in West Garfield Park is at least three times more likely to live below the poverty line and six times more likely to be unemployed. The lack of opportunities – educationally and economically – in a community make it ripe for continued crime and poverty, Glasco says. The Chicago Police Department receives 40 percent of the city’s overall budget. Between 2017 and 2018, CPD saw a budget increase from $1.49 billion to $1.55 billion. That means the city is spending about $4 million a day on policing. Lester Jackson, an 84-year-old former activist, moved to Fifth City, in the 3400 block of West Jackson Boulevard, in 1962. 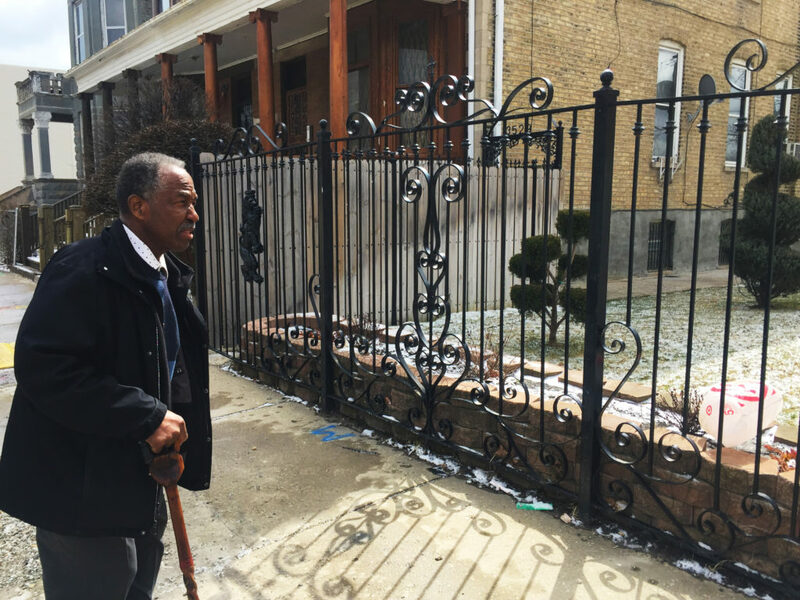 For the last 56 years, Jackson has witnessed the disinvestment of the West Side. First, he watched businesses and residents – Black and white – leave the area en masse for the suburbs following the King uprisings. Then, he saw the limitless power of the Chicago police and Federal Bureau of Investigations in the 1969 planned execution of Black Panther leaders, Fred Hampton and Mark Clark. It was clear that the city was going to silence the Black people on the West Side, one way or another. The morning after the deadly raid, the Chicago police and FBI left the Panther apartment open for all to see the bloody crime scene. Jackson and his wife went down to the crime scene in the 2300 block of West Monroe Street, less than 2 miles from Jackson’s house. “It was a shoot-in. It wasn’t no shootout,” Jackson says. 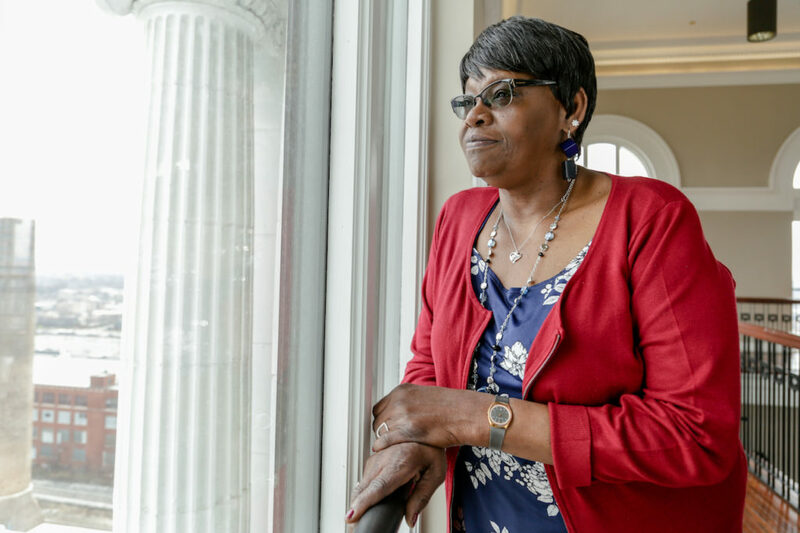 For Killingsworth, who was a member of the Black Sisters United For Revolutionary Defense, she says Hampton’s death was the beginning of a decades-long depression on the West Side. “King died. The Panther leader died. Then businesses just start leaving, but you can’t leave. You don’t have the money to go anyplace else. Now you’ve got a depressed set of people,” Killingsworth says. At its peak in the 1950s, the Sears, Roebuck and Company, headquartered in North Lawndale, employed about 10,000 people, according to The Atlantic. Two other large West Side companies, Western Electric and International Harvester employed 43,000 and 14,000 workers, respectively. The relocation and closures of these major businesses between the 1960s and 1980s put a dark cloud over the West Side, Killingsworth says. The West Side, especially Homan Square, where the 41.6-acre Sears, Roebuck and Company complex used to bring acclaim to the West Side, eventually became synonymous with violence and police torture at a secret Chicago police interrogation detention center. Members of the #NoCopAcademy collective recently surveyed more than 500 residents of West Garfield Park. According to Glasco, 80 percent said they had not heard about Emanuel’s proposed cop academy and 88 percent said they do not want the cop academy in their neighborhood. In fact, 33 percent said they would rather see the $95 million invested in schools and another 13 percent said the money should be invested in the youth. “I know that having an increased police presence in a community means that community is going to be more apt to the ills that go along with over-policing, like stopping and frisking folks, being overly attentive to people and profiling people,” Glasco says. 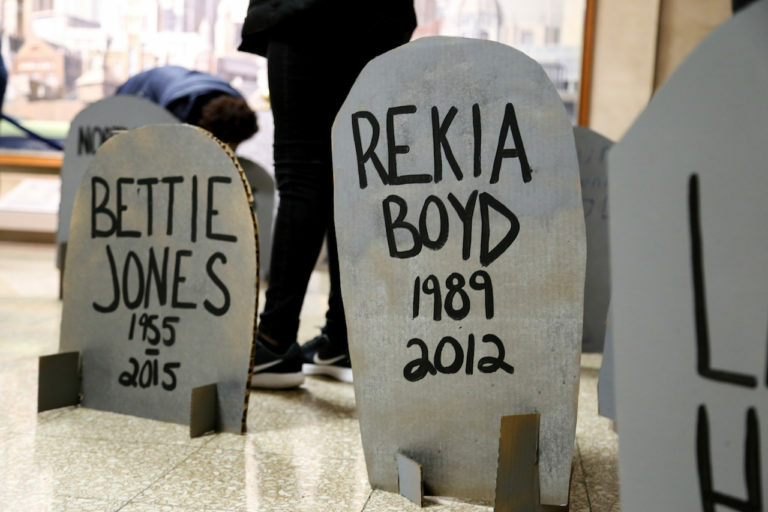 She refers to Rekia Boyd, the 22-year-old Black woman killed by an off-duty police officer on the West Side in 2012. The officer, Dante Servin, was acquitted of manslaughter charges in 2015 and later resigned from the police department. Between 2010 and 2015, according to a Chicago Tribune report, 262 people were shot by police: 210 of those shot were Black. In total, 92 of those shot were killed.